We recently covered the CBS News investigation of the Oakland VA, which revealed that the mismanagement of claims left many veterans waiting for years for the benefits they were owed, some dying before they ever received them. The full extent of that problem is staggering, as more than 14,000 cases of deliberately ignored veterans benefits claims were found at the Oakland facility alone. This begs the question: how many of these claims went ignored across the country? These shocking new details are a major blow to the credibility of VA Secretary Bob McDonald, who ascended to the position after former Secretary Eric Shinseki resigned in May 2014 amidst scandal over the long wait times veterans were experiencing for treatment at the Phoenix VA and other hospitals. 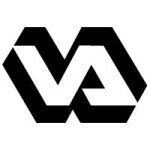 It indicates that there are still some significant, pervasive problems with the way the VA conducts business, and that the issues exposed in 2014 are far from resolved. In some cases, veterans applied for benefits as early as 1996 and never heard back from the VA. In other cases, veterans’ widows never were provided assistance with burial expenses for their deceased husbands, and were not given an American flag to honor their husbands’ service. One VA whistleblower says that about half of the cases she screened when looking through all of the ignored claims involved deceased veterans. Her supervisors told her to mark claims as “no action necessary,” whether the veteran in question was alive or not. She was so upset by the trend that she reported her concerns to her superiors, who promptly removed her from the assignment. These shocking developments are an insult to veterans across the country. If you believe that you have been wrongfully denied your veterans benefits, work with the attorneys of Marcari, Russotto, Spencer & Balaban today. Contact us at 866-866-VETS or contact us online. We serve veterans nationwide.